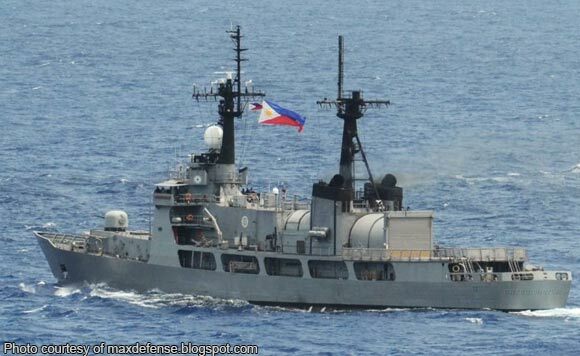 The Philippine Navy frigate BRP Gregorio del Pilar will be brought to the port of Subic in Olongapo City after it was refloated from Hasa-Hasa Shoal in the West Philippine Sea, a military official said. Navy chief Vice Adm. Robert Empedrad said a “thorough, comprehensive investigation” will be conducted regarding the ship’s grounding last week in Hasa-Hasa Shoal once it arrives in Subic on Friday. The frigate, which the Philippines acquired from the United States a few years back, is being towed by a tugboat after it was refloated last Monday night. Empedrad said there was a minor flooding inside the ship while being towed, but was promptly addressed by its crew. He said the propeller was also detached as a result of the grounding last Aug. 29, rendering the ship non-operational. “Anyway, it is due for repair. (So, the incident) just fast tracked the schedule. Once it arrives Subic, it will be scheduled for repair at the shipyard,” Empedrad said.